Have you heard of the Marshmallow Challenge? It’s a simple team-building exercise involving dry spaghetti, tape, string and one marshmallow. The task is simple too: who can build the tallest tower using only these tools? Oh, and the marshmallow has to go on the top. Peter Skillman from TED originally developed this design challenge, but most recently, Tom Wujec, a fellow TED Talks speaker, business visualization specialist and Fellow at Autodesk, ran this challenge in 70 workshops around the world. His participants included: recent MBA graduates, designers, architects, and members of the C-suite from Fortune 50 companies, to name a few. During these workshops, Tom discovered that one group consistently outperformed all others on this challenge: recent graduates of kindergarten! Their structures were always by far, the most creative and the tallest. So the burning questions of course, are why? How can this be? And you are not alone in asking these questions. Tom’s TED Talks video exploring this notion has already garnered over 2.6 million views. This marshmallow problem brings to light some surprisingly deep insight into team building and collaboration – research that can have an important influence on our hiring practices. We can learn a lot about the “magic” of team dynamics and its effect on business performance – through the lens of this challenge. The worst performers tend to be recent graduates of business school. Tom hypothesizes that this may be due to the fact that these grads are trained to find one single path, to follow it and execute on it. Kindergarteners in contrast start with the marshmallow, and build successive prototypes – they build and fix along the way. CEOs tend to perform only slightly better than the average adult, however – when CEOs are paired with executive administrators, they do significantly better! Again, Tom hypothesizes that this may be due to the fact that administrators have special facilitation skills. They focus on understanding the process and managing it. Tom concludes that specialized skills and facilitation skills are the winning combination to succeeding in this challenge. How many businesses today are set up to encourage employees to play in prototypes? We would venture to say, not that many unfortunately. Much of our business world is set up to make a hypothesis and follow it wholeheartedly. Don’t forget your facilitators: Beyond the expertise required for a particular task, when members of a group must perform at their best together, we mustn’t underestimate the value of facilitation skills. We need to seek out people who bring those skills to the table, in order to propel ourselves further. 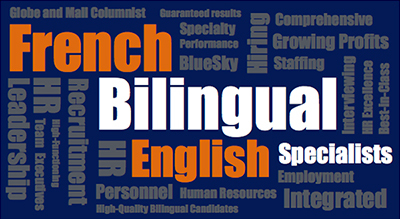 This is an important component to keep in mind when we’re making our hiring decisions. Play, explore and “prototype”: in a world where we must consistently think about disrupting the status quo to win, we must create a culture where play and exploration are deeply valued. Only in this environment can we encourage prototyping – a way to challenge our conventional, linear thinking. 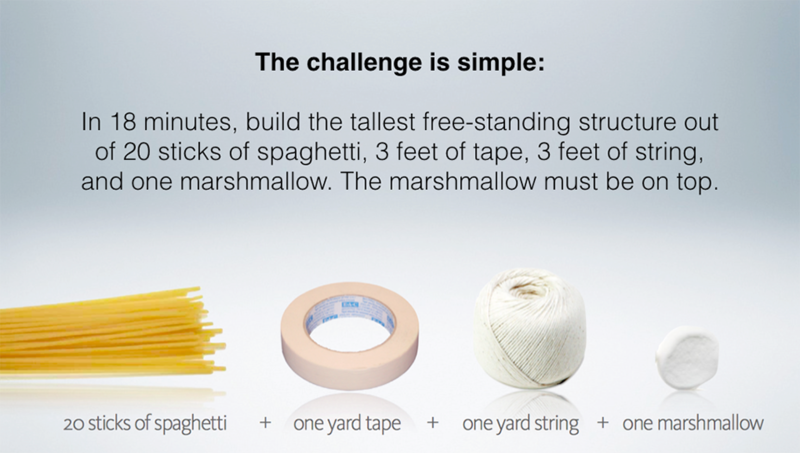 To run your very own Marshmallow Challenge in your workplace, visit marshmallowchallenge for complete instructions and facilitation tips.